B Public Relations has been appointed to handle the PR and communications for London’s newest beauty concierge app; Ruuby. 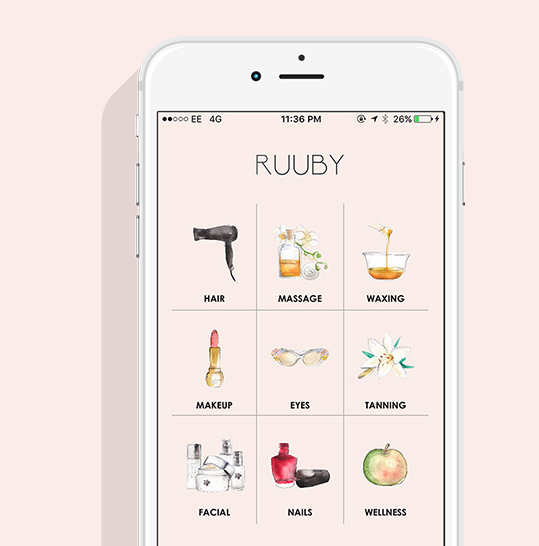 The Ruuby beauty app offers unprecedented access to the diaries of London’s top salons, spas and therapists, encouraging a more streamlined approach to bookings. From spray tans to facials at home or in spas this really is the ideal companion for a quick beauty fix in London. It’s founder Venetia Archer, believes in the importance of great beauty treatments and in sharing the secrets of London’s hottest spots. The specialist beauty app also offers fantastic at-home therapists, so the Ruuby community can enjoy luxurious treatments in the comfort of their own home or office. Upon free download, users can browse available treatments, and book appointments directly.